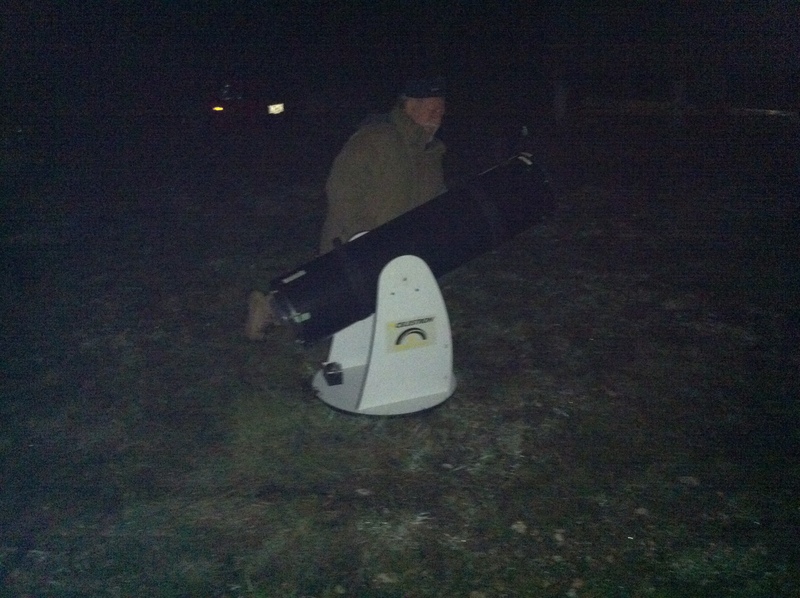 Several club members braved the cold and showed up at the airport site sat eve to view the annual Geminids meteor shower. In spite of the cold temperatures nobody was disappointed as the display was as good as or better than predicted. The Geminds shower is known for producing long, slow, yellowish colored meteors. There was a mix of faint and bright ones but a good portion were above first magnitude and some as bright as the planet Jupiter. The meteors seemed to come in bunches with several appearing over a couple of minutes followed by a short lull. At times 2 would appear in the sky at the same time… sometimes one following directly behind the other. At one point I did a one hour tally and counted 50. This puts this display pretty much in line with the summers biggest shower, in August, the Perseids. Did anyone else see the show? Let us know what you saw or didnt see! What about sunday night…. did anyone see any?